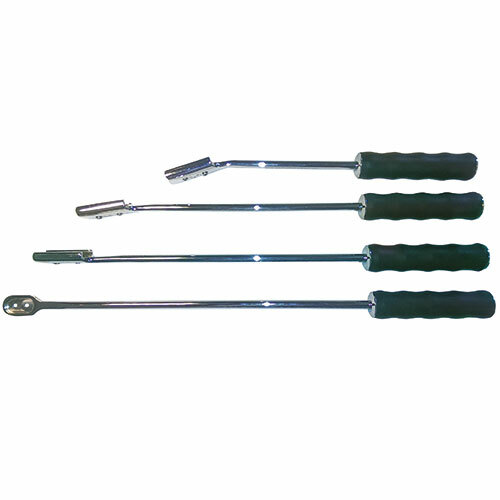 Leading brand of Premium Float Handles. Each float is clearly numbered for quick recognition. 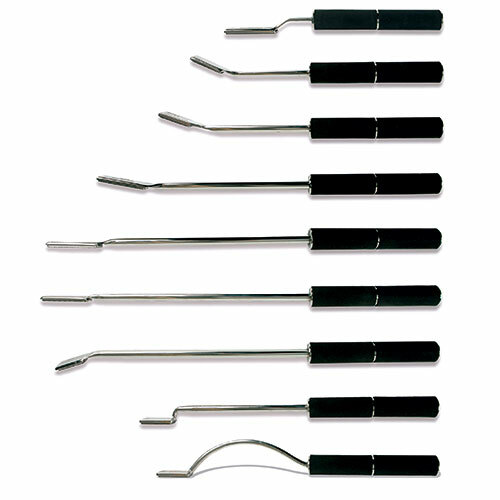 The rounded stainless steel shaft is milled flat on one side for correct placement in the mouth. 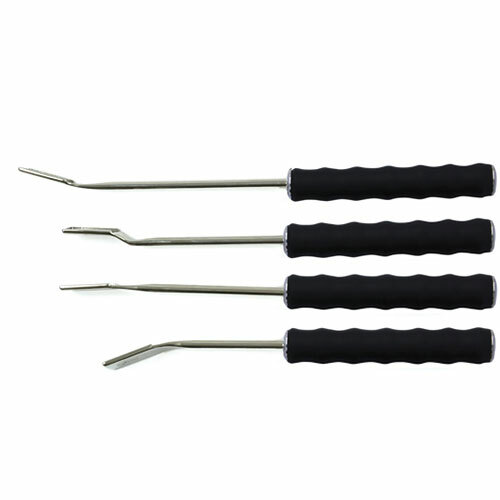 The rubber handles are easy to clean and sterilise, whilst still maintaining their grip even when wet. 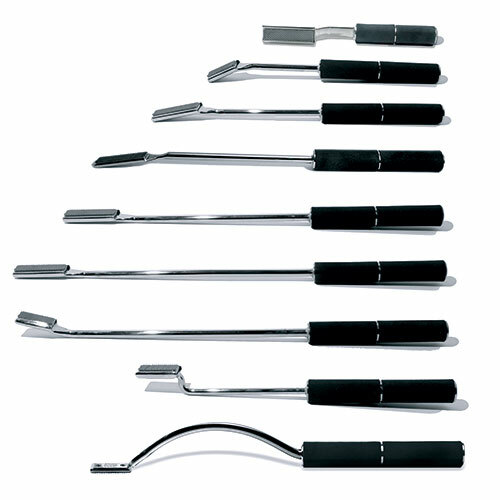 Includes a range of bolt on heads, stick on heads and light weight rasps to suit all practitioners.